It’s happened to many of us. You dream about living in a neighborhood only to figure out that you’ve been priced out. Those looking in lakefront Chicago neighborhoods like Lincoln Park and Lakeview know the feeling. A quick looking at the listings and one can see how the area has become less affordable. So what do buyers do? People begin to look in nearby towns and in the case of lakefront Chicago, the spread has gone north. Once place in particular, Edgewater, is a community where prices and sales are heating up and homes in the million dollar range are commonplace. By 2012 Edgewater home prices started to rise as buyers looked north after being shut out of the locations that peaked in price. 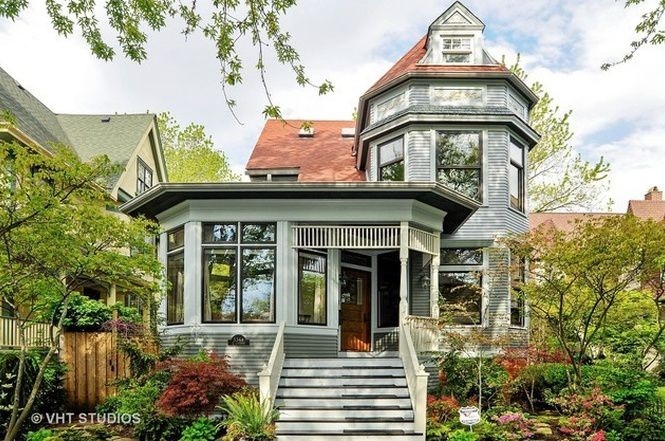 Listings in Lake View, were estimated at about $211 per square foot, while homes Edgewater, were about $98 per square foot. “For a long time it seemed like a bargain! There are good schools for families, and four L stops for those that commute. The neighborhood is seeing a phase of growth with lots of shops and restaurants opening on a regular basis. It’s exciting to see,” says Araujo. It’s estimated that in March 20176 the price per square in Edgewater is up to approximately $178. Adding to the area’s draw is an influx of stylish and modern new homes very close to the former Edgewater Medical Center site. There is also plans for a much needed Metra stop at Peterson. “According to a new report published by Chicago Magazine, nine Edgewater homes sold for more than $1 million in 2015! My professional opinion is that it’s not about to stop.” says Araujo.